WPFolio 1.6 beta release | F.A.T. We’re working on a new improved version of WPFolio, and could use your help! 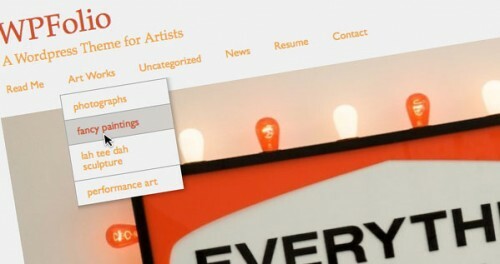 WPFolio gives artists a free and open source tool to create their portfolios. With thousands of downloads, it’s likely to be many artists first encounter with free and open source tools! All this for the fabulous price of zero dollars! 1.6 is a beta release and there’s some bugs and improvements we need to get done before we can submit it to WordPress. Some are super simple things like improving php code, updating deprecated tags, and enabling custom headers, so if you want to take ’em on, we’d appreciate it. You can fork WPFolio on GitHub and all the issues are listed on the GitHub issues page most with links leading to solutions. If you want to check out WPFolio more generally, see the WPFolio Owner’s Manual. If you have any questions, get in touch! 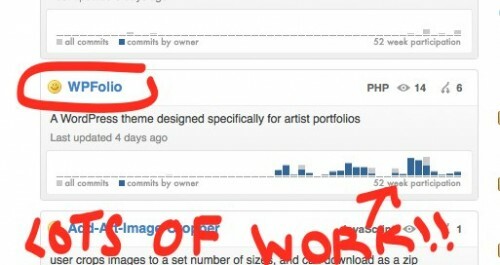 Once WPFolio is in primo shape, we may update the FFFFFat theme…. » TELE-INTERNET – The 2010 Ars Electronica Internet Shop!